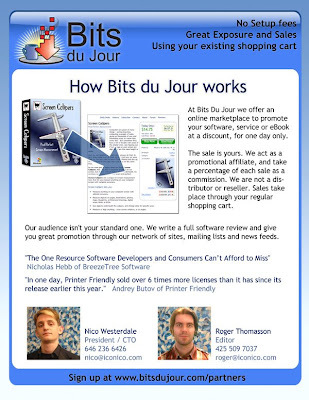 For the past few days, if you've been subscribed to Bits Du Jour you may not have received your usual daily deal email. We were the victim of some pretty heavy spam attacks which ground our mail servers to a halt. We're happy to report that the holes are now plugged permanently and normal service will now resume. Now I've never been a big coupon cutter, but it appears from this recent CNN front page article that because of the economic downturn that coupon cutting is on the rise. So what does this mean for software developers? We over at BitsDuJour we've been offering great deals on software titles, as much as 90% off in some cases. "While people may be looking to spend less, they aren't necessarily cutting back on necessities or luxuries. 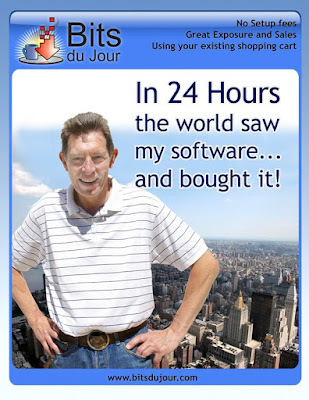 Instead, consumers are hunting for deals on where to dry-clean their clothes, get their oil changed or take the family out to dinner"
So if the same holds true for dry cleaning, then why not software too?